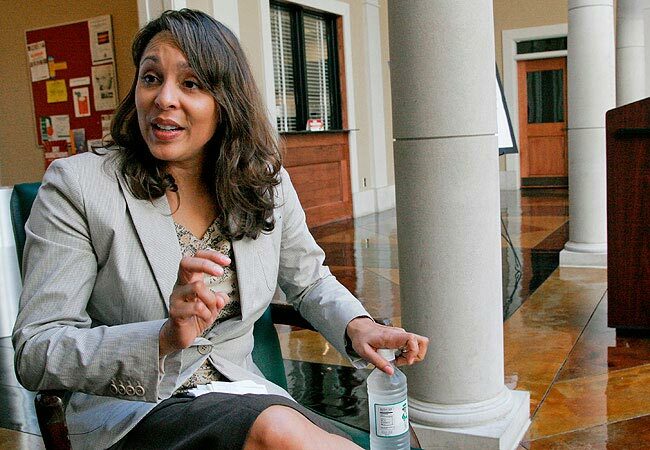 …the next poet laureate is Natasha Trethewey, the Pulitzer Prize-winning author of three collections and a professor of creative writing at Emory University in Atlanta. Ms. Trethewey, 46, was born in Gulfport, Miss., and is the first Southerner to hold the post since Robert Penn Warren, the original laureate, and the first African-American since Rita Dove in 1993.
in it, the rag in the foreground recalling her hand. into what she knows. Light falls on half her face. in and out of the hill they’re building. the landscape blurred and waving. a red and humming swarm.